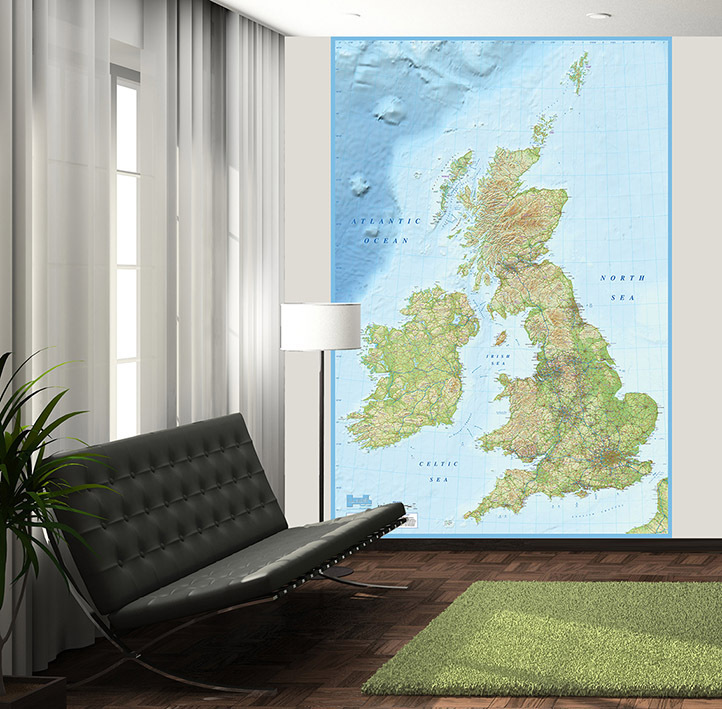 An outstanding fine quality interior designer wallpaper mural image for any commercial area or in the home. An up-to-date, highly detailed British Isles political road & physical map featuring 1st level county & regions, settlements by population, and motorways (including junctions, junction nos. and service stations and names), primary routes, 'A' & 'B' roads (including dual carriageways), comprehensive road numbering, railways, and airports. Physical features include urban areas, forest and woodland, rivers, lakes and mountain ranges as well as island, bay and headland names. A fabulous must have! Easy to apply, with no matching, no cutting, no mess! Wallpaper paste & hanging instructions included. Can also be applied with glue dots or double sided tape. 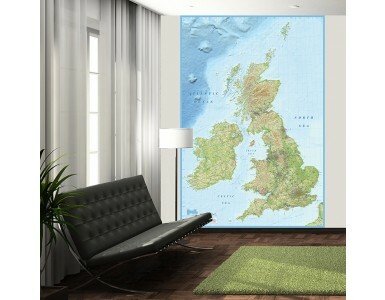 Dimensions: 1.58m wide x 2.32m deep. Supplied in 2 pieces. To complete the purchase order, simply click on the secure hyperlink, review payment information, enter your card details and submit payment. (b) to receive emailed customer invoice with best shipping rates & expected deliveryTo complete the purchase order, simply click on the secure hyperlink, review payment information, enter your card details and submit payment. Purchases shipped upon order. Next Working Day delivery to all UK mainland addresses for orders received by 1.00 p.m.
Returns Policy - It is extremely unusual for our customers to want to return any product but, in the unlikely event that you are not 100% satisfied, you have the right to cancel an order with us, prior to despatch of the order or within 14 days from date of delivery. However, we regret that we cannot accept returns of items that have been used or returns of items where the packaging has been removed. To return a product, please Contact Us within 3 working days of date of delivery to be notified of our warehouse address. Please package the item securely and send it to our warehouse for receipt within 14 working days of date of delivery. We strongly recommend you use a recorded-delivery courier service as we cannot accept liability for goods lost in transit. Please note that you will be responsible for the costs of returning the goods unless a faulty item was delivered to you. If you have recevied a faulty product, please Contact Us within 3 days of date of delivery to arrange courier collection. Alternatively, we can provide you with our warehouse address to which you can send the item direct but you will have to cover the postage costs. All of the faulty product must be sent back including the labels and wrappers. No claim can be considered if these are not provided. We will issue a refund of the purchase price of the returned product excluding postage costs (unless the item was faulty in which case we can resend the product to you) within 3 working days of our warehouse's safe receipt of the returned item and in the same state as originally despatched to you. The returned goods must be in a condition suitable for resale. Please Note: Deliveries for all Printed Products will be made to the postal address elected when the order is placed. Orders are tracked and must be signed for. If no one is available to receive your order at the time of delivery, the courier driver will leave notification of return of the goods to the regional depot for your area from where you will be responsible for arranging collection or possible re-delivery. This policy provides formal proof with respect to goods being despatched and safely received. 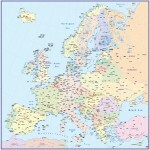 The contents of all maps are believed correct at the time of printing. Nevertheless neither RH Publications nor its suppliers can accept any responsibility for errors or omissions, changes in the detail given or for any expense or loss thereby caused. at Checkout. If at any point you wish to be removed from our mailing list, please click on the unsubscribe link at the bottom of all our promotional emails.